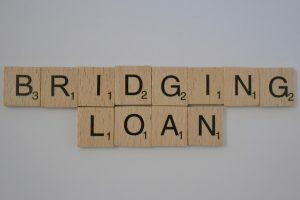 Purchasing a home with a bridging loan may be something you have never considered. A long held view is that bridging is prohibitively expensive, however due to the expansion of the market, more competition and better regulation in these areas bridging finance is becoming a more popular and ultimately more affordable option. We have exclusive rates not available through lenders directly and these start at just 0.44% a month. Bridging could be the answer to you securing your dream property in the quickest possible time – a great example would be where you want to purchase but are yet to sell your own property. Best of all you do not need to make monthly payments on a bridge as the interest is rolled until you ‘exit’ the loan. This is typically achieved by selling your existing property or refinancing with a traditional mortgage. In our first chat we will find out what your requirements are – this will include the size of the loan you need and what property or properties we will use as security for the loan. We are completely independent and will search across the market before issuing bespoke terms for your deal and full costings. Our chosen lender will then issue a Decision in Principle to confirm they are happy to offer the loan subject to the usual checks. You will then give us the go ahead to proceed with the deal. The lender will then send out their own surveyor to value your property. The valuation is then assessed by the lender and assuming this is all OK. The lender will then have the loan signed off by their credit team. The offer of loan will then be issued. Your solicitor then prepares the relevant paperwork. Finally the funds will be released and your purchase can complete. Bridging finance is typically a 3-4 week process but we have completed deals in as little as five working days – as such if you have an emergency such as losing your buyer after you have exchanged contracts we are perfectly positioned to assist. Why not give us a call today on 01249 474956 or send a summary of your situation to us by completing the form below. Find out more about our Specialist Finance solutions.